These eggplant rolls with Parmesan and ricotta cheese are just wonderful – the slightly grilled eggplants just goes perfectly together with the Parmesan and ricotta cheese. 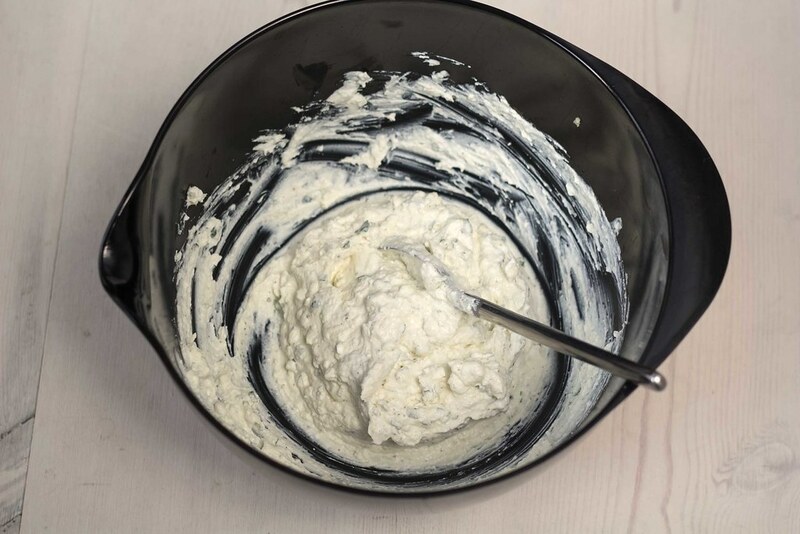 Ricotta cheese is an Italian whey cheese normally made from sheep milk or sometimes goat or cow milk. 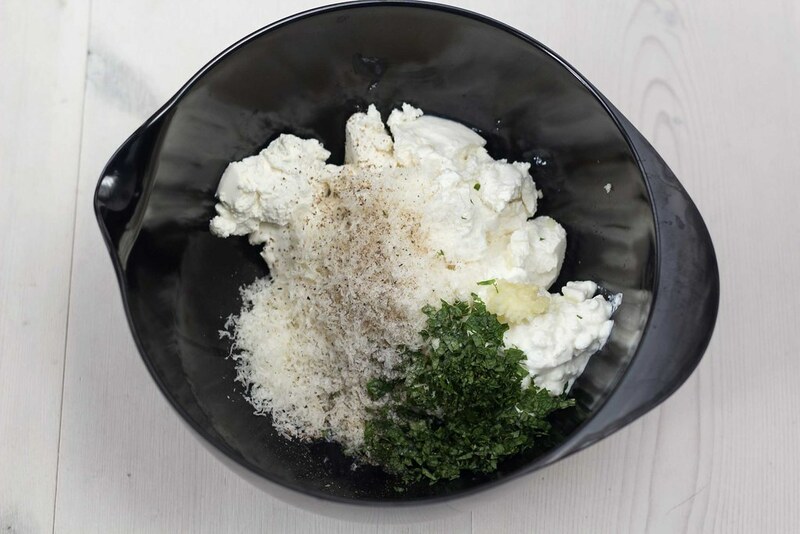 The Ricotta cheese is made from the left over from the normal cheese production and does normally have a lower fat content, making it a great product rich on protein. If you are interesting in knowing more about the great and healthy benefits you can get from an eggplants then I can highly recommend reading the article from Well-Being Secrets which describes 27 science-based facts about this great vegetable. They are pretty simple to make and can be varied in many ways – try replacing the Parmesan and ricotta cheese with something different and you have a completely different dish. Actually we have never been big fans of eggplants. However, these eggplant rolls changed our view of this great vegetable and now we love them! We served these eggplant rolls as an element in a tapas dinner. However, they are also great as a snack or starter. We have several great recipes for tapas and snack – you can find them on our blog. 1. Cut the eggplant into slices lengthwise. You will get about 5-6 slices of each eggplant. 2. Brush the eggplant slices with some olive oil and season with salt. 3. 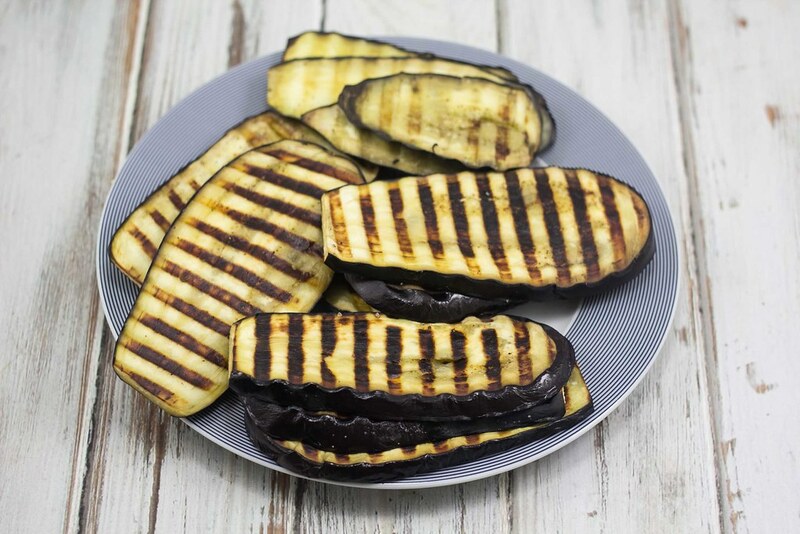 Grill the eggplant slices on a hot grill or frying pan. They should have about 5 minutes on each side. When done; set aside and let them cool off. 4. Make the filling for the rolls; Mix the ricotta cheese, Parmesan, crushed garlic and finely chopped mint leaves. Season with salt and pepper. 5. 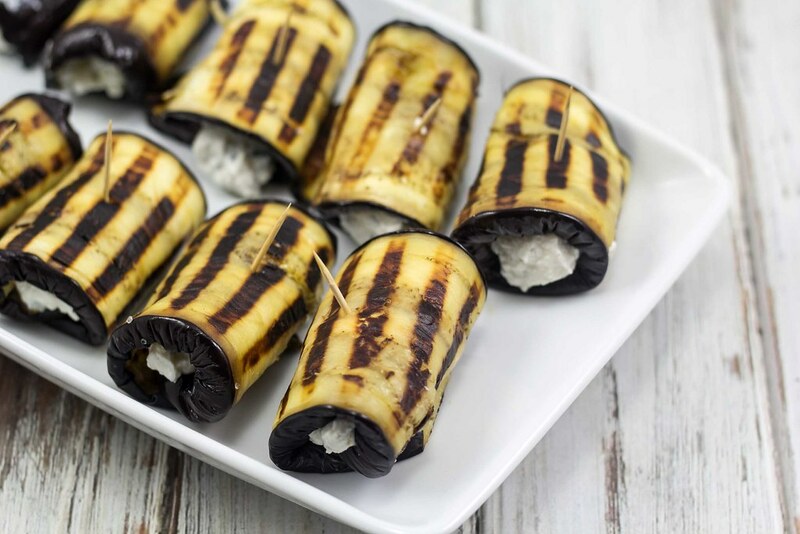 Put about one tablespoon of the filling on each of the grilled eggplant. Roll the eggplant around the filling and secure with a toothpick or similar.